This was the last demonstration of the European project with the same name, which had a budget of EUR 4.3 million for developing robotic solutions, within a period of three years, which could be applied to the automotive and aerospace industries. The demonstration, which was attended by several people, namely by the European partners of the project, was made in a Renault vehicle. 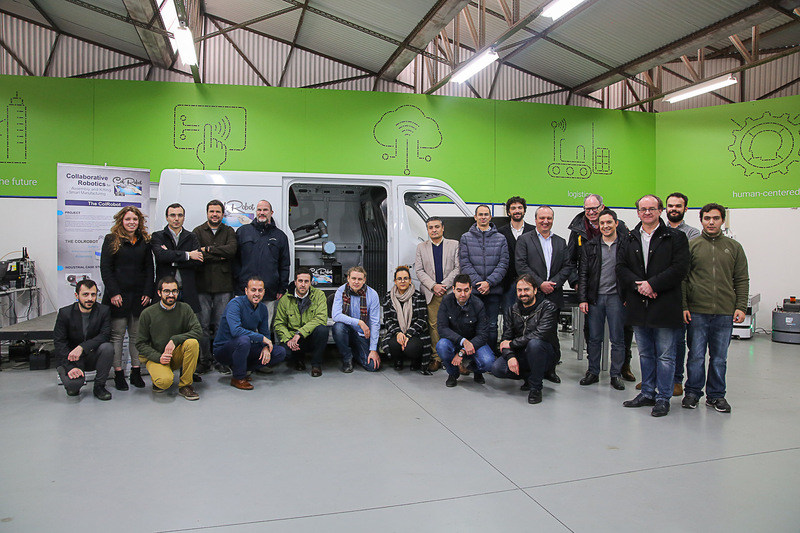 As the demonstration progressed, the researchers from INESC TEC’S Centre for Robotics and Intelligent Systems (CRIIS) presented to the participants the ColRobot project, particularly focusing on the RENAULT's case study. ColRobot combines state-of-the-art technology developed in Europe with user requirements for application in assembly processes, thus creating an integrated collaboration robotics system, where a mobile manipulator acts as a “third hand” by delivering kits, tools, parts, or by holding work pieces while the operator performs tasks. “The goal of this project was the development of robots for operations in a collaborative environment, that is, an environment shared between human and robot”, explains Germano Veiga, researcher of INESC TEC’s CRIIS. The robots developed under this project, and that are capable of navigating in a factory in an autonomous way, want to change the paradigm in the automotive and aerospace industries. “What is revolutionary in this process, and which has a very positive impact on the assembly process in the automotive industry”, is that we have the robot sharing the space with the human operator in a safe and efficient way. The security of the operation was one of the barriers that we managed to overcome, since the presence of the robot does not interfere with the human action", shows Germano Veiga. 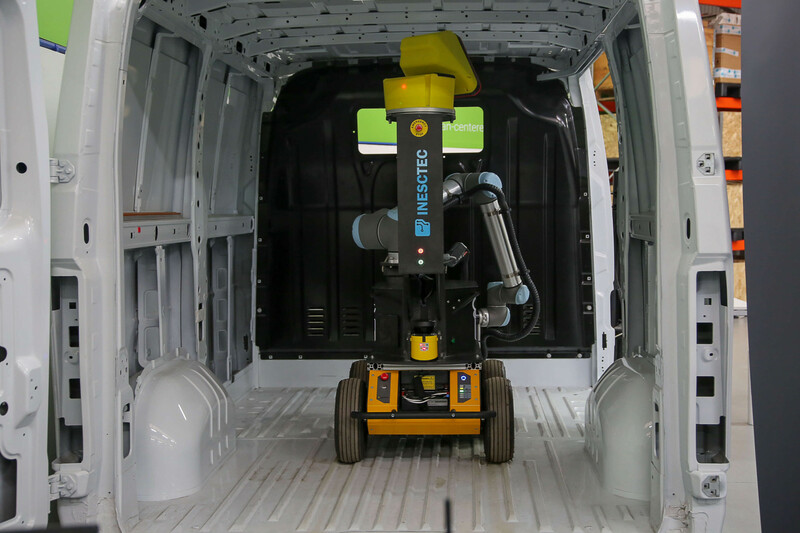 As far as the automotive industry is concerned, this robot presents a number of advantages, namely in terms of the assembly of van parts, to the elimination/reduction and exposure to poor ergonomic conditions and to the autonomy to perform assembly operations. 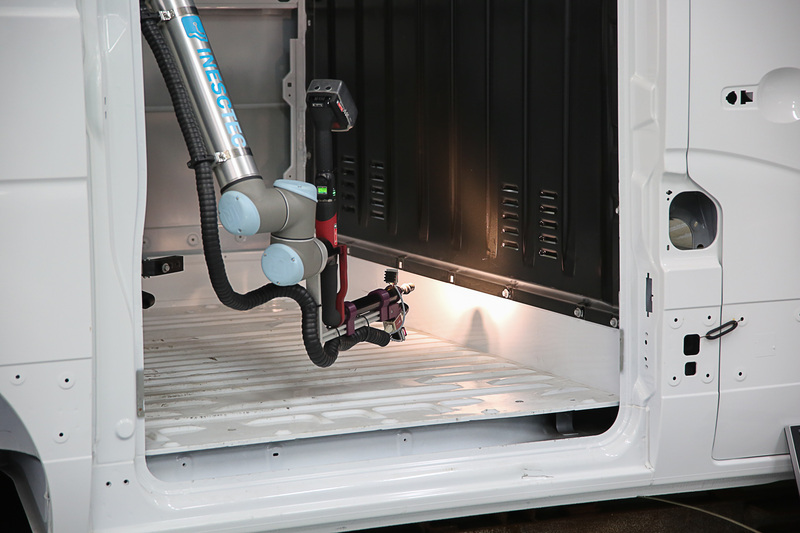 ColRobot can enter into a vehicle and do "ergonomic" screwing operations simultaneously with the operator, thus sharing the same space. Regarding the aerospace industry, the benefits are mostly related to the support in the preparation of kits for satellite assembly operations, to the delivery of assembly kits directly to the satellite assembly areas, and as a “third hand” in the assistance of the operator for the installation of equipment on satellite. Basically, “in this case, the robot acts as a third hand by holding the satellite while the operator screws the components in the objects”, mentions the researcher from CRIIS. “ColRobot will have a huge impact on these industries for the innovative technologies that it uses, which were developed with a focus on the operational environment in key European industries, for having a safe collaborative robotic system, for helping the improvement of the competitiveness of the European manufacturing and for allowing a flexible production”, explains Germano Veiga. The robots play an important role in the production industry, in which the competitiveness depends very much on their productivity, flexibility and agility in order to meet the market requirements, especially if they are prepared to collaborate with human collaborators in a shared working space. “We are now facing a paradigm where robots and humans take advantage of each other's capacities, cognitives in the human case and the performance of repetitive tasks in the robot case, without the need for replacement”, concludes INESC TEC's senior researcher. The plans for the industrialisation of the prototype will start between this year and the next one, as well as the optimisation plans of the robot to other types of vehicles. In this European project, which is now coming to an end, collaborated the following researchers from INESC TEC’s CRIIS: Germano Veiga, Luís Rocha, Pedro Relvas, José Lima, Héber Sobreira, Rafael Arrais, Cláudia Rocha, Paulo Rebelo, Eurico Sousa and Carlos Costa. Other than INESC TEC, the following European institutions were also part of this project: ENSAM École Nacionale Superieure d’Arts et Metiers, Centre d'Innovation des Technologies sans Contact EuraRFID, AKEO PLUS, RENAULT SAS and Thales Alenia Space – all of them are French -, University of Coimbra – Portugal -, Università degli Studi di Modena e Reggio Emilia – from Italy -, Fraunhofer-IFF from Germany, AIMEN - Asociación De Investigación Metalúrgica Del Noroeste and Technaid SL - both from Spain. This project was funded by the European Union’s Horizon 2020 research and development programme under the number 688807. The researchers mentioned in this news piece are associated with INESC TEC, UP-FEUP and IPB.